From the 48 Laws of Power by Robert Greene. “Everything is judged by its appearance: what is unseen counts for nothing. Never let yourself get lost in the crowd, then, or buried in oblivion. “Burning more brightly than those around you is a skill that no one is born with. You have to learn to attract attention, “as surely as the lodestone attracts iron. At the start of your career, you must attach your name and reputation to a quality, an image, that sets you apart from other people. Much of my audience will be familiar with the cold reading technique called “Barnum Statements.” I often refer back to P.T. Barnum since he was a master of human psychology. Barnum learned about courting attention to his favor by experimenting with drawing crowds. Any form of publicity would benefit his entertainment business, no matter if it were bad publicity. Barnum promoted his shows of curiosities to audiences with all kinds of gimmicks. He would offer Free Music for Millions, but hire bad musicians, so the crowd would end up buying tickets to the show so they could avoid the bands. On one occasion, Barnum spread a rumor that one of his assistants was actually a known, suspected murderer and almost got him killed in the streets. The stunt caused such a crowd and stir that it increased his ticket sales to his show. Barnum planted negative articles in newspapers and even sent anonymous letters to keep his name in the limelight. Thomas Edison would create dazzling experiments to display “his” discoveries within electricity and boast about future inventions that seemed amazing and even miraculous breakthrough(s) for the time. Thomas Edison, an American inventor and businessman. 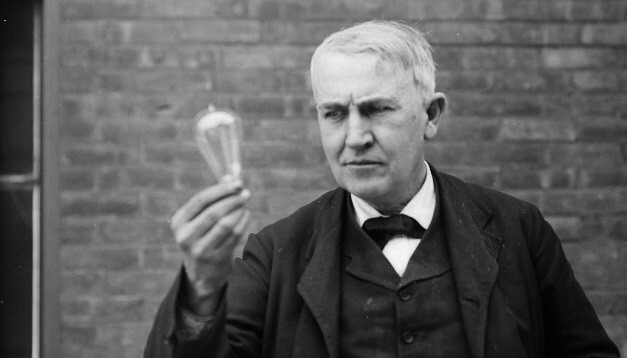 Edison was credited for developing many devices, including the phonograph, the motion picture camera, and the electric light bulb, but most likely he was just an expert at receiving the credit for the inventions of others. Edison would talk loudly about all the future inventions he would be bringing, which drew the public’s attention as Edison became a frequent topic of conversation. 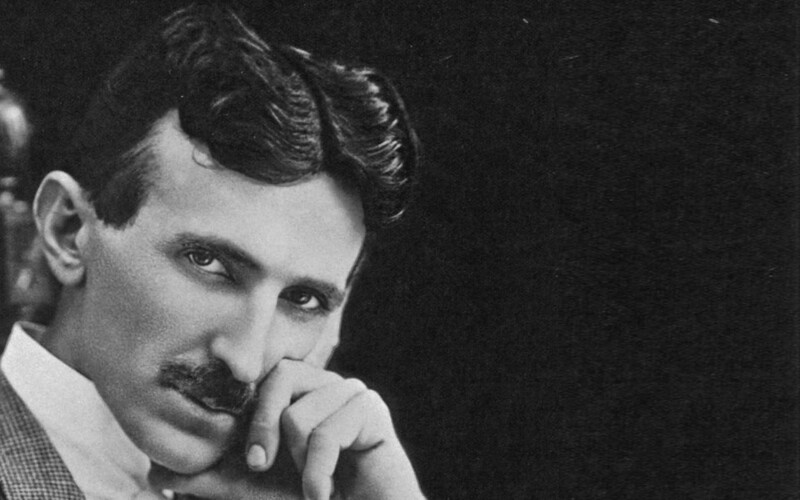 He did everything he could to make sure he received more attention than his former employee & rival Nikola Tesla, who arguably may have been more brilliant and talented than Edison, although far less known. In 1915, it was rumored that Edison and Tesla would be joint recipients of the year’s Nobel prize in physics. However, the prize wasn’t given to either of them in the end. It was later discovered, the committee had actually approached Edison on a joint Nobel prize, but he had turned them down refusing to share the prize with Tesla. Later, Tesla refused the Thomas Edison award for scientific discovery. By 1915, Edison’s fame was much more secure than Tesla’s, thus he thought it was smarter to refuse the honor than allow his rival the attention that would’ve come from sharing the prize. 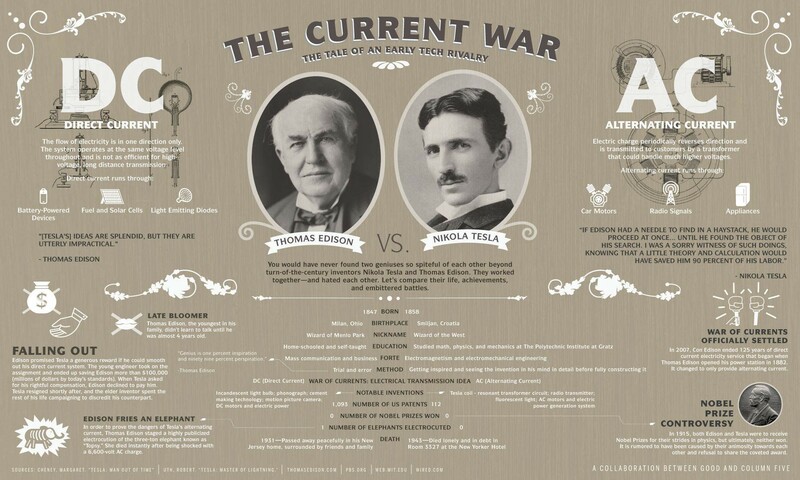 It should be noted that Edison may have behaved less than ethically concerning Tesla as Tesla is responsible for creating the AC electrical technology which provides electricity to every home in america to this day, but history has favored Edison, while without Elon Musk, Tesla may have disappeared into the forgotten past. The majority of celebrities are forgotten from mainstream relevancy within a number of years as their five minutes of fame is extinguished and the public finally see the lack of true substance and value they hold. In the mean time, the public moves on to the next shiny thing with their short attention spans, and the cycle continues. The game of attention requires vigilance and creativity; those who make it through to legendary status possess a unique set of characteristics that is perfect for the time they’re living in. If you have all the energy and passion in the world, but lack talent, then you will most likely fail and be frustrated; In like manner, if you are wildly talented but lack the passion or energy to present that talent, you will most likely also not be a success. A Great example of this idea can be seen within the music industry. Kanye West, for example, is an accurate modern day example of this. Kanye’s sixth solo studio album “Yeezus” was widely controversial due in part to the aggressive sonic experimentation, resulting in many hating it, and many loving it. “Yeezus” sounded completely different from anything Kanye had ever made. Regardless of what your think of his music, he intentionally courts attention every single time a new album is released. Many people who don’t even like Kanye West were, and still are, talking about him more often than artists they like. West has been intelligently courting attention with his polarizing unapologetic character and music for the last decade to drive millions of music sales and break dozens of records. People often feel superior to someone whose actions they can predict. If you show them who is in control by playing against their expectations, you both gain their respect and tighten your hold on their fleeting attention. It is important to note the fluency by which these laws interact with each other. “In a world growing increasingly banal and familiar, what seems enigmatic instantly draws attention. Never make it too clear what you are doing or about to do. Do not show all your cards. About 100 years ago in 1905, there was a rumor that spread throughout Paris of a young Oriental girl that danced in private homes. She was very exotic; she wrapped herself in veils, would dance seductively for people, and was from another country. A local journalist had seen her dancing and reported a woman from the far east had come to Europe, laden in perfume and jewels; to introduce some of the richness of oriental color and life into the satire society of European cities. 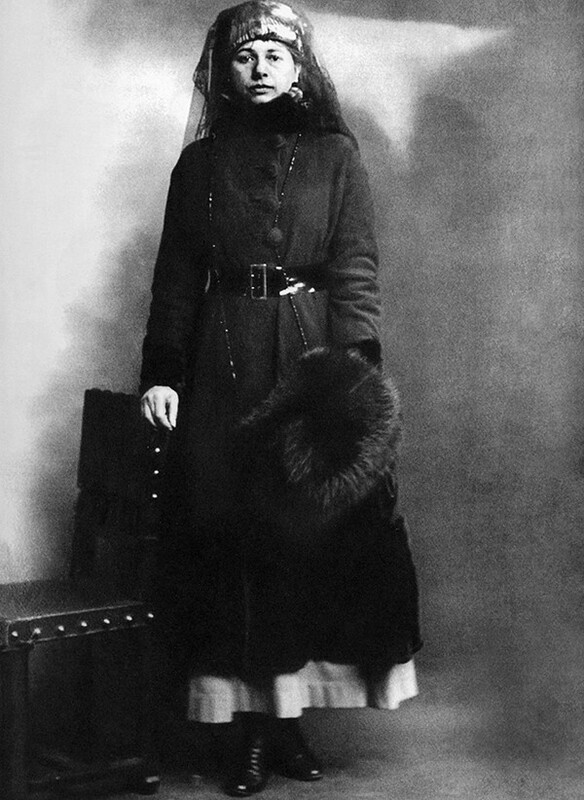 Soon everyone knew the dancer’s name: Mata Hari. 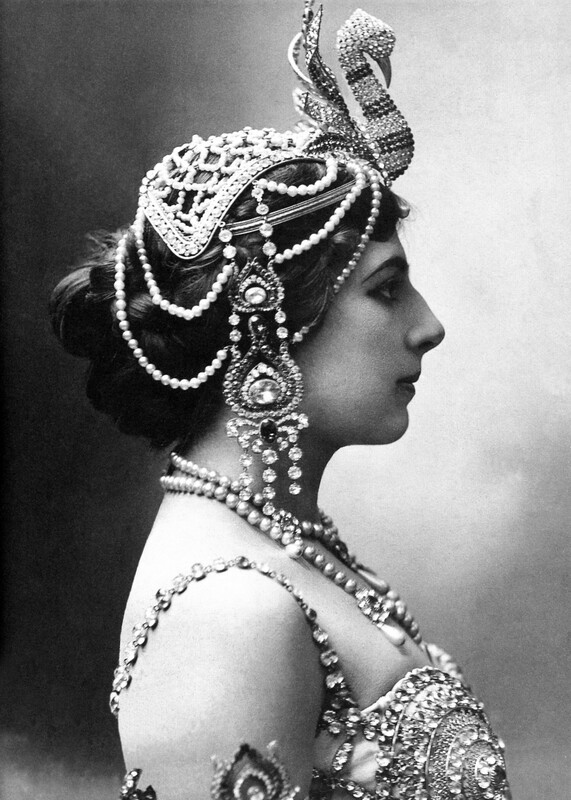 Mata Hari would only perform for very small select private audiences. She wore alluring clothes covered in jewels, she danced in a way that was a seductive and trance like. She told her audiences that her dances were based on stories on Indian mythology and Javanese folktales. As a result, people started conjuring up all types of exotic alluring images of her. They even compared her to the likes of an Indian goddess. Whatever their imagination wanted to see in this mysterious woman, it saw. She later performed for the first time in public. At this point she had become a kind of cult-like figure even spawning imitations. Soon enough, her dances spread beyond Paris as she was invited to Berlin, Vienna and Milan. Over the next few years she had performed all over Europe. She earned an income like no other for someone her age and gender. A sudden turn of event’s soon swept Mati Hari from underneath her: near the end of World War 1 she was arrested in France, tried, convicted, and executed as a German spy. Margaretha’s mistake may have been going public with her performances, she took her lie too far and courted too much attention, many thousands of people knew her name. She seemed to abuse her power and mystery and placed herself in vulnerable situations that eventually got her caught and executed. She wasn’t actually a spy, and was most likely executed due to the embarrassment felt by her followers and fans; regardless of whether she was guilty or not of being a spy, (most likely not) that’s the story they conjured from her own fake story. By utilizing a more stoic pose, you put yourself in a position to appear mysterious due to the lack of haphazard emotion displayed. Not only do you seem in control, but you appear like an enigma. The more your peers appear the opposite, the more unique you seem. It’s harder to guess someone’s intentions or next moves when they are not giving off many emotions. Human being’s are emotional creatures, and to appear the opposite of the norm, creates a kind of illusion of difference that causes curiosity. Someone who adhered to this was Louis XIV. In the court of Louis XIV, nobles and ministers spent days and nights debating issues of state, as we do similarly now. Two men were represented to approach Louis XIV on two different subject matters. If this is you, as it is me, every now and then, act in a way that does not mesh with other people’s perception of you. This way you keep those around you on the defensive electing the kind of attention which makes you powerful. Done correctly, the creation of enigma can also draw the kind of attention that strikes terror into those who want to predict your behavior or are enemies lying in wait. The purpose is to give the perception of randomness, while in fact being under the pretense of strategic awareness. “In the beginning of your rise to the top, you must attract attention at all cost, but as you rise higher you must constantly adapt. An air of mystery works wonders for those who need to develop an aura of power and get themselves noticed, but it must seem measured and under control. Many of the pictures and paragraphs in this article were borrowed from an article written on Medium.com by Alexander Sandalis which you can find by clicking HERE. However, most of this article was taken directly from the book 48 Laws of Power. This book taught me more about human behavior than many of the Psychology books I studied in college and in my research since. If you would like to know how to apply this to your own life so you can Be Your Own Hero, maybe it’s time to reach out and see if we should schedule a session.